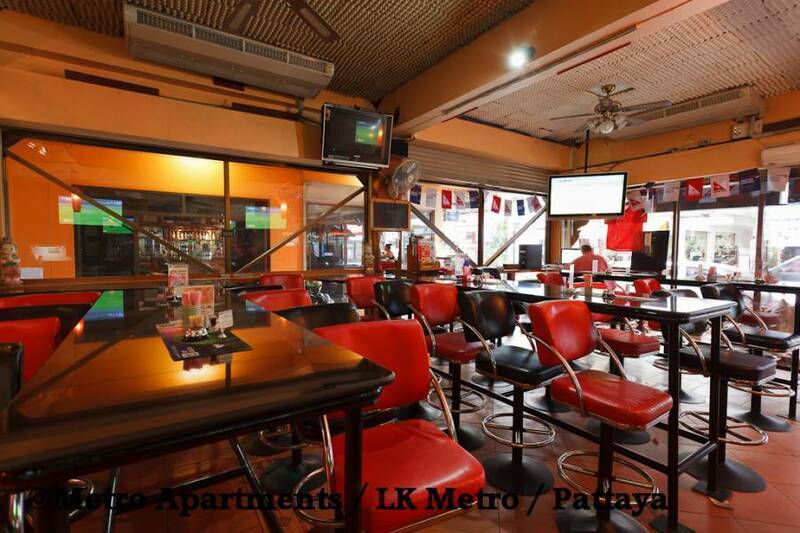 Good guesthouse ... Large clean rooms in a fun location of Pattaya. 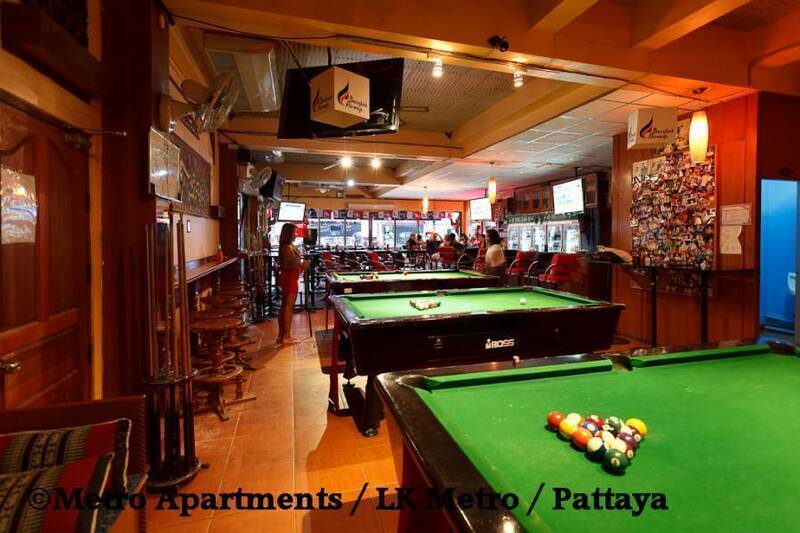 I have stayed many times here and always return..
A small 10-room boutique property in Soi LK Metro, Pattaya's newest and busy entertainment centre. Fully air-conditioned throughout. All rooms ensuite with king-sized beds, TV, DVD, minibar, blackout curtains / drapes, dimmer switch, kettle and crockery and document safe. Microwave also in Superior rooms. For sports fans there are eight large screens showing sports events from around the world. The bar is non-smoking but there is a seated smoking area out front where you can watch the world go by. For those who prefer to while away a few hours in their room, there is a complimentary book and DVD library for guests. 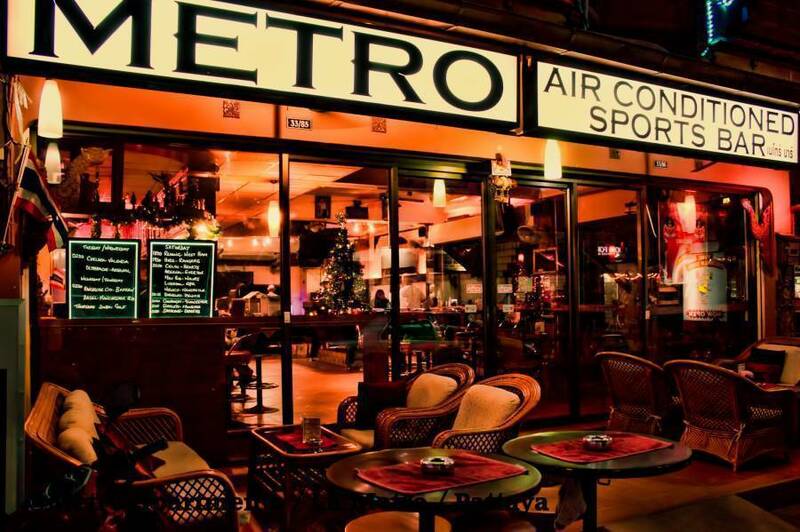 Residents are also entitled to a 10% discount on their drinks bill in the bar. While we currently do not operate a kitchen, we do carry several menus from neighbouring properties. All rooms have Air-conditioning, Ceiling Fan, Cable TV, DVD Player, Dimmer Switch, Electronic Document Safe, Fridge/Minibar, Blackout Curtains and Kettle and Crockery and ensuite bathroom with hot and cold shower. Standard rooms are 25 sq. 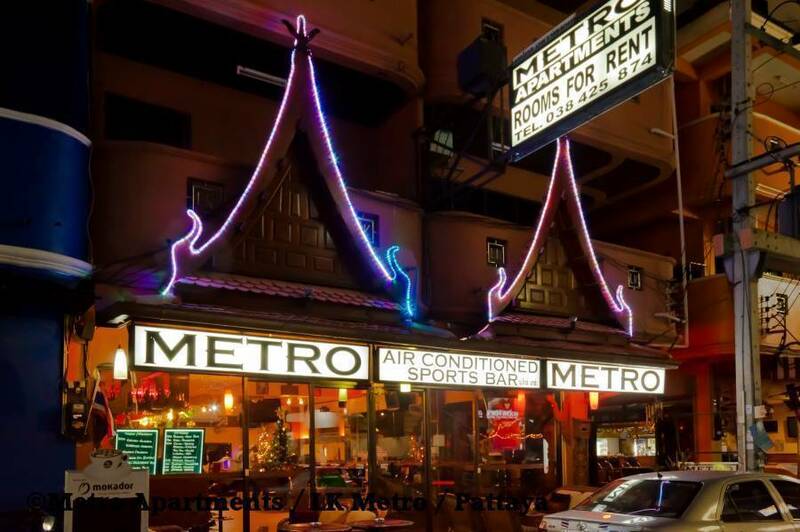 m. Superior rooms are either 32 or 45 sq. m. All rooms have balcony, TV, DVD, fan, air-con, document safe, blackout curtains, king-sized bed, well-stocked minibar, kettle and complimentary water. Superior rooms have a microwave as well as tea / coffee-making facilities with some cutlery. All rooms have 2l complimentary drinking water daily. 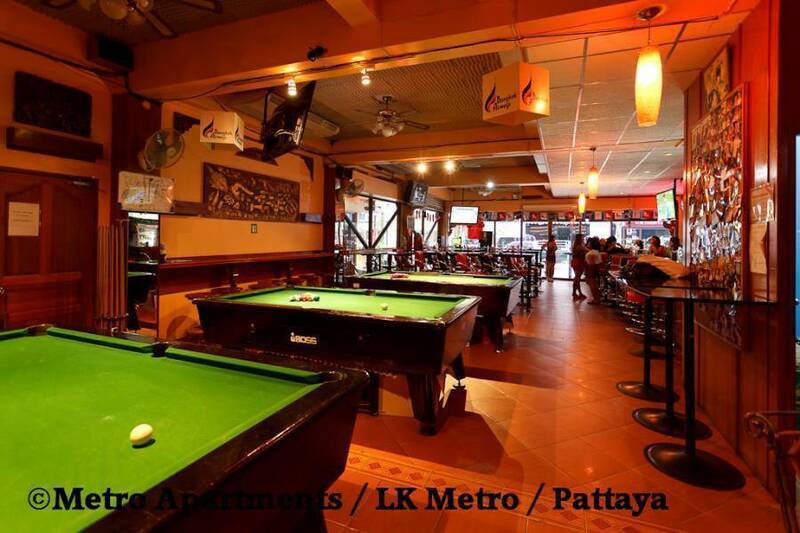 Central location on Soi Lk Metro which is in Central Pattaya between 2nd Road and Soi Boukhao. Twice weekly there is a lively and very popular local market on Soi Boukhao. We are surrounded and indeed spoiled for choice with numerous convenience stores as well as restaurants and bars in the area. UK and US breakfasts. UK / US style food with some Thai dishes and Indian curries. Pizzas, pastas and UK style dishes. When arriving into Pattaya take Central Road from the main highway. From Central Road take the turn off to your left into Soi Boukhao. 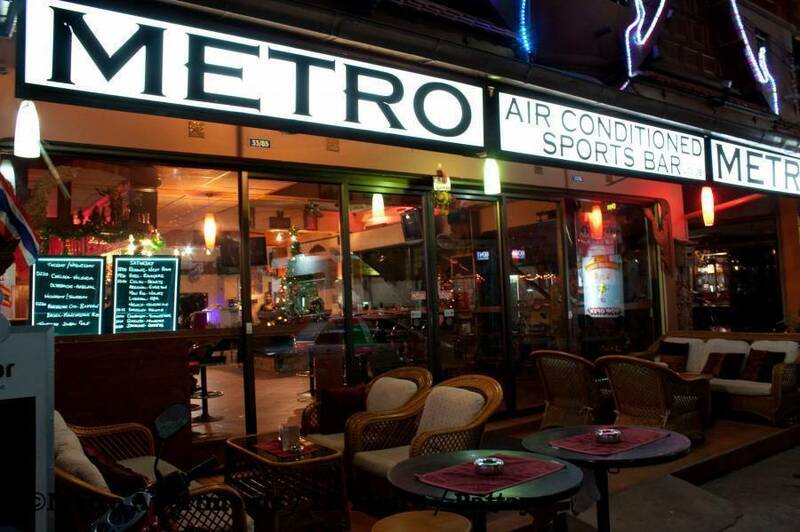 Metro Apartments is located in Soi LK Metro which is on your right between Soi Honey Inn and Soi Diana Inn. We can arrange airport collection by private car. Please email us with your flight details. There are also metered taxis available. From Bangkok city there is a regular bus service from Ekkamai bus station which is next to the Ekkamai BTS. There are also regular buses and a travel service arranged by Bell Travel Service.